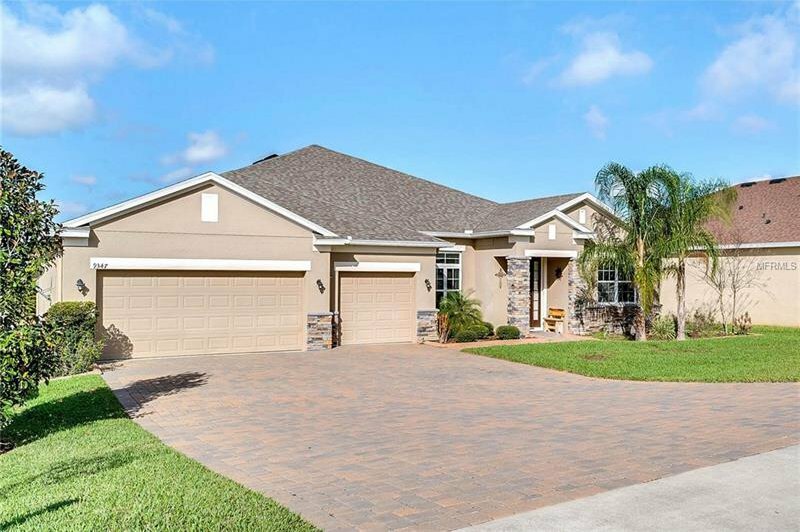 Fabulous and highly desired Baldwin model in scenic Vista Grande! From your private pool deck, you will enjoy incredible sunset views over the lake while relaxing on your spacious covered lanai. Once inside, the open floor plan allows for maximum family time and entertaining as the kitchen / family room combo create a natural gathering area for all. Stone accents in the kitchen and dining room are just a taste of the many upgrades this home has to offer. A three car garage and large parking pad make this home as inviting as it is beautiful! Call and schedule your private showing today!! Listing courtesy of RE/MAX Results. Selling Office: ERA GRIZZARD REAL ESTATE.